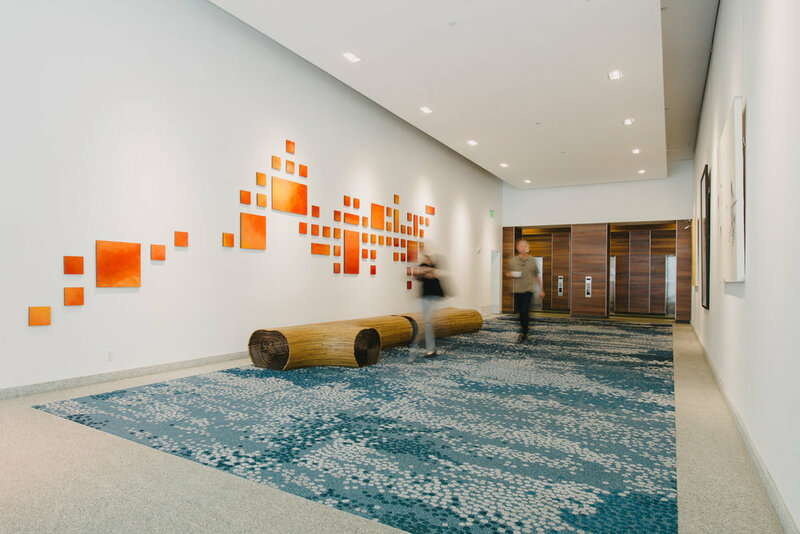 A classic lobby refresh including a floating hard-lid ceiling cloud, custom-designed carpet from China and art installation. 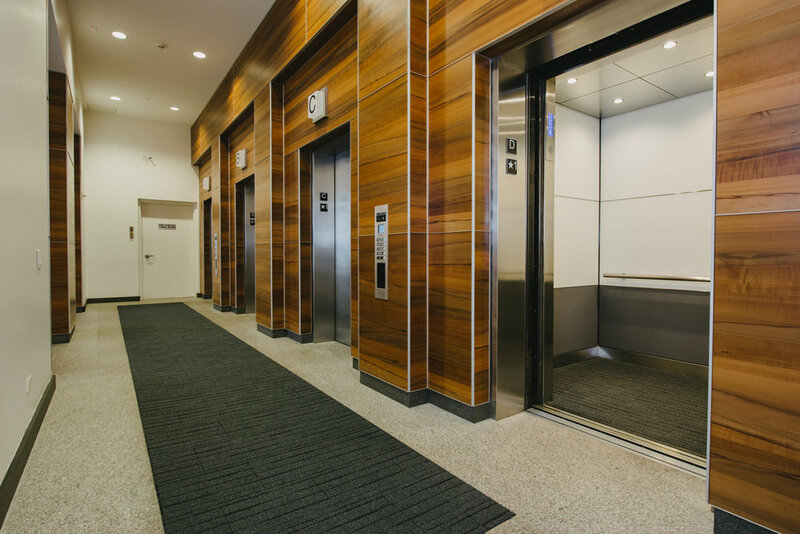 A signature piece of this project is the elevator lobby's 12’-high paneling made with Fumed Larch Blueprint Match wood. 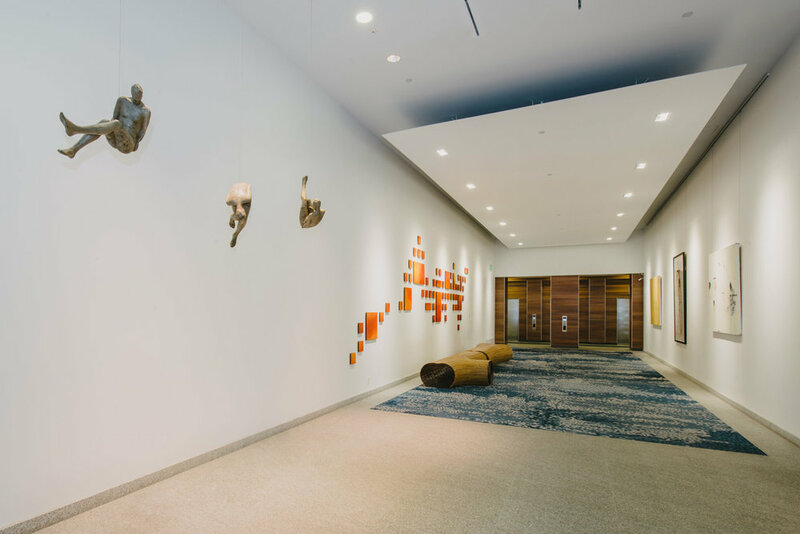 This detail required precise coordination between architect, general contractor, subcontractor and supplier.